Anton is interested in medical education, sports medicine and orthopaedics. He is passionate about helping others to discover ways of improving their learning skills. He also enjoys long walks along the beach, ice-creams in summer, and hopes one day to live out a day in the life of a slug, by bathing himself in cooking oil and sliming about. Effective and efficient methods of learning are important for medical students to tackle the plethora of information available. A technique that is gaining increasing popularity is Spaced Repetition Learning. To expand upon the use of Anki, with which the author has had more experience: it is a flashcard program that displays cards at varying intervals depending on how well one feels they have answered them in the past. Comprehensive and easy to understand instructions are available through the website, but in summary, the user writes a question and answer, and saves it to a ‘deck’ of cards. Each question can be labeled with one or more keywords (eg: ‘cardiology’). Cards with a certain label can be reviewed exclusively or excluded from reviews as desired. Decks of cards can also be shared to Anki’s online database or with other individuals. To begin learning without creating a new deck, downloading the “UK Finals Medicine” deck is a good starting point. There is also a varied range of other topics available including foreign languages, geography and musical instrument practice. When reviewing a deck, the user is presented with a question (Figure 1), answers it (out loud, on paper, in their head) and clicks the mouse to view the answer. The user then grades their performance (Figure 2) and this is when spaced repetition theory is employed. By clicking “Again,” the card will automatically become due at the end of that review session. Clicking “Easy” the first time a particular card is answered will make it due in about a week. Each successive time a card is answered correctly, the card’s due date is pushed further into the future. Useful question examples for a complaint, such as chest pain, may include differential diagnoses, history questions, physical examination and investigations. For a disease, such as COPD, question prompts may include: definition, epidemiology, pathophysiology, aetiology, symptoms, signs, investigations, management, prognosis/staging and complications. After using Anki for over a year, several benefits have become apparent. It ensures consistent new learning whilst refreshing the student of prior knowledge. Setting review deadlines and adhering to them means one can learn many facts effectively, which saves precious time. Answering questions out loud is perhaps the most effective way to clarify thoughts and consolidate your understanding of a topic. It is also particularly helpful for OSCE examination preparation. Another benefit is the accessibility of Anki, as it is available on most smart phones and can synchronise between devices and computers. The main shortfall of using SRL programs is that its efficacy depends on user commitment. In summary, Spaced Repetition Learning has been shown to be an effective learning tool in research studies. There are a number of software programs currently available that are user friendly and free to use. From the author’s personal experience and literature review, the success of SRL should certainly be applicable to medical students and I look forward to seeing further objective research in the future to support its use. Greene RL. Repetition and spacing effects. Learning and memory: A comprehensive reference. 2008;2:65–78. Baddeley A. Human Memory: Theory and Practice, Revised Edition. Allyn & Bacon; Rev Sub edition; 1997. Lee SB, Park CS, Jeong JW, Choe JY, Hwang YJ, Park CA, et al. Effects of spaced retrieval training (SRT) on cognitive function in Alzheimer’s disease (AD) patients. Archives of Gerontology and Geriatrics. 2009;49(2):289–93. Boller B, Jennings JM, Dieudonné B, Verny M, Ergis A-M. Recollection training and transfer effects in Alzheimer’s disease: Effectiveness of the repetition-lag procedure. Brain and Cognition. 2012;78(2):169–77. Raman M, Mclaughlin K, Violato C, Rostom A, Allard JP, Coderre S. Teaching in small portions dispersed over time enhances long-term knowledge retention. Medical …. Informa UK Ltd UK; 2010. Kerfoot BP, Baker H. An Online Spaced-Education Game to Teach and Assess Residents: A Multi-Institutional Prospective Trial. Journal of the American College of Surgeons. 2012;214(3):367–73. Kerfoot BP, Fu Y, Baker H, Connelly D, Ritchey ML, Genega EM. Online Spaced Education Generates Transfer and Improves Long-Term Retention of Diagnostic Skills: A Randomized Controlled Trial. Journal of the American College of Surgeons. 2010;211(3):331–1. Kerfoot BP. Learning benefits of on-line spaced education persist for 2 years. J. Urol. 2009 Jun;181(6):2671–3. Kerfoot BP, DeWolf WC, Masser BA, Church PA, Federman DD. 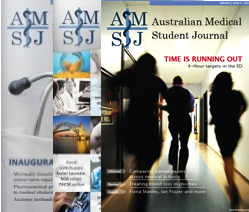 Spaced education improves the retention of clinical knowledge by medical students: a randomised controlled trial. Medical Education. 2007 Jan;41(1):23–31. Kerfoot BP. Adaptive spaced education improves learning efficiency: a randomized controlled trial. J. Urol. 2010 Feb;183(2):678–81. Kerfoot BP, Brotschi E. Online spaced education to teach urology to medical students: a multi-institutional randomized trial. The American Journal of Surgery. 2009 Jan;197(1):89–95. Schmidmaier R, Ebersbach R, Schiller M. Using electronic flashcards to promote learning in medical students: retesting versus restudying. Medical Education. 2011.